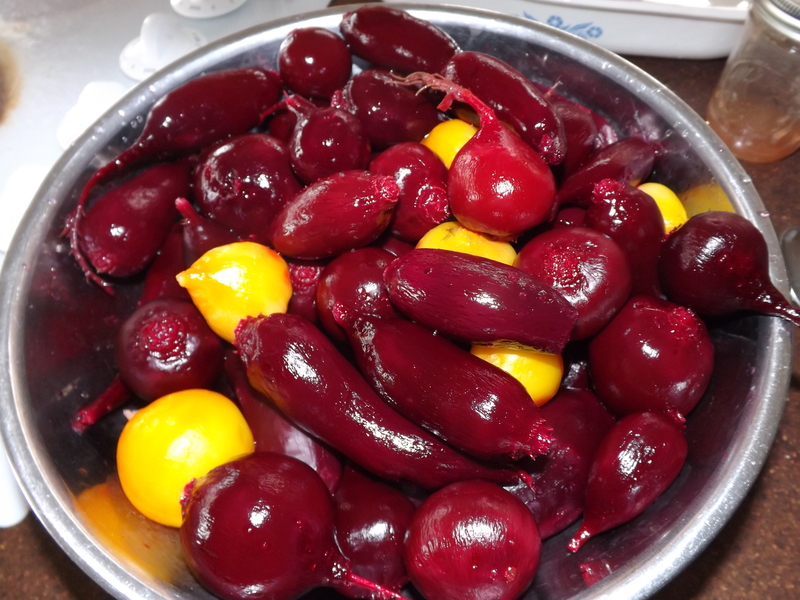 The other day after I harvested some of the bigger beets from the garden, I had just enough to can three pints of pickled beets. 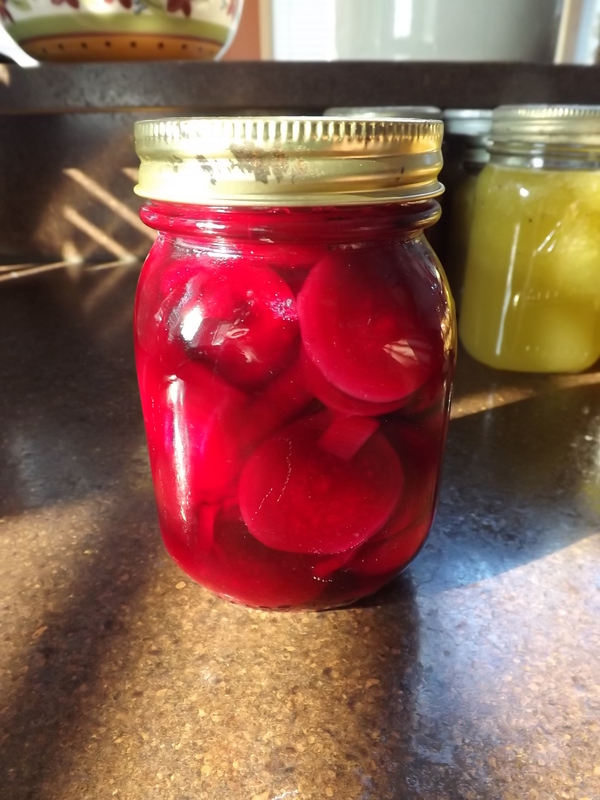 This was the second time I canned pickled beets, the first having used store-bought beets from the produce department. The recipe I used for the first batch turned out a bit tart for my taste. This time I altered the ratio of sugar, water, and vinegar and came up with a recipe that we like much better. 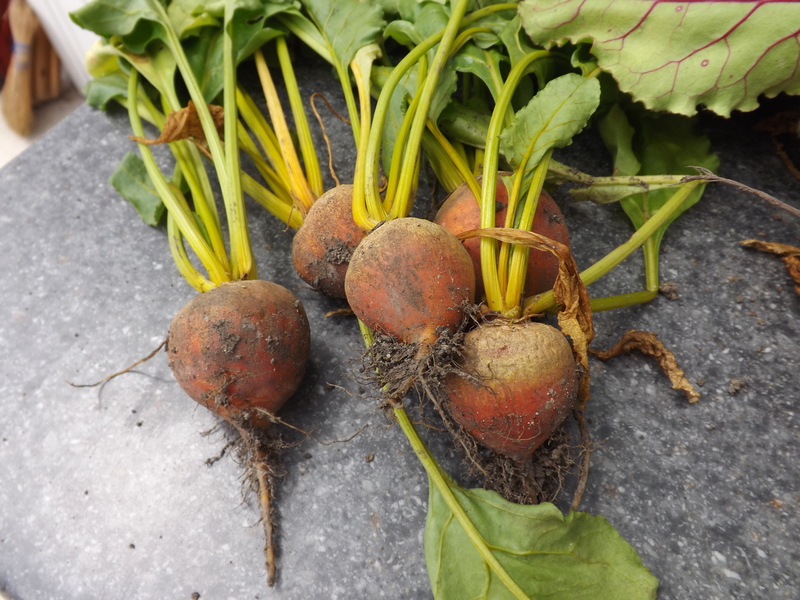 Cut tops off beets, leaving two inches of stem. Immediately immerse in ice water and skins should slip right off. 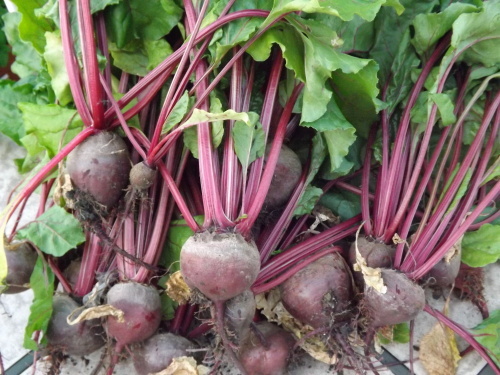 Slice beets and onions to 1/4″ thickness. Combine vinegar, water, sugar and salt in pan. 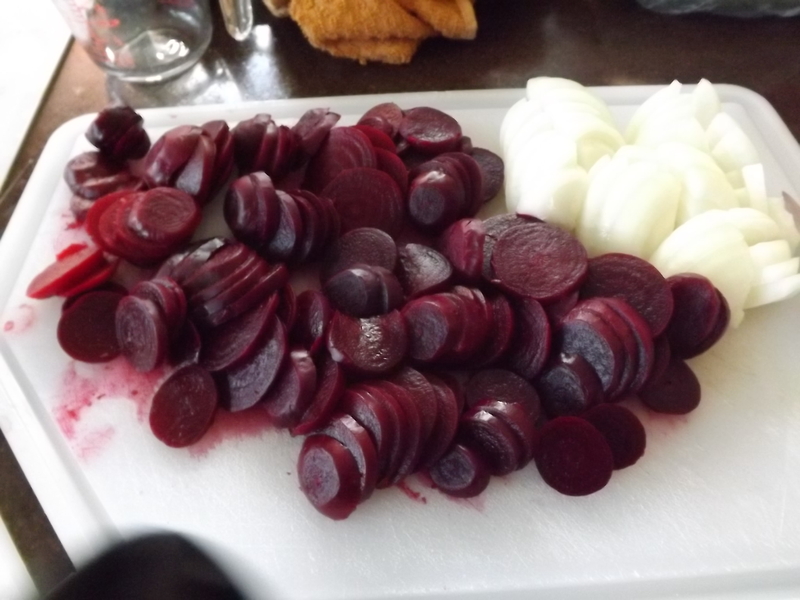 Add beets and onions and bring back to boil for 5 minutes. 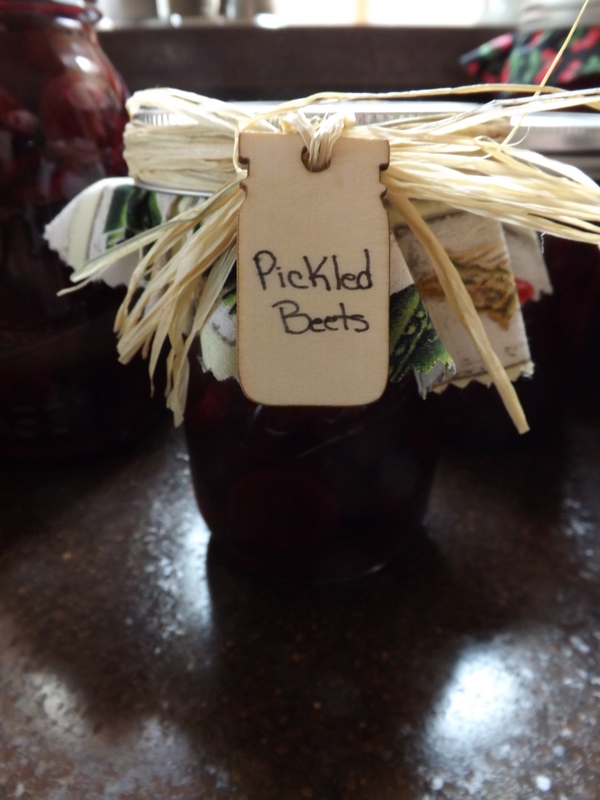 With slotted spoon, fill pint jars to 1/2″ from top with beets and onions. 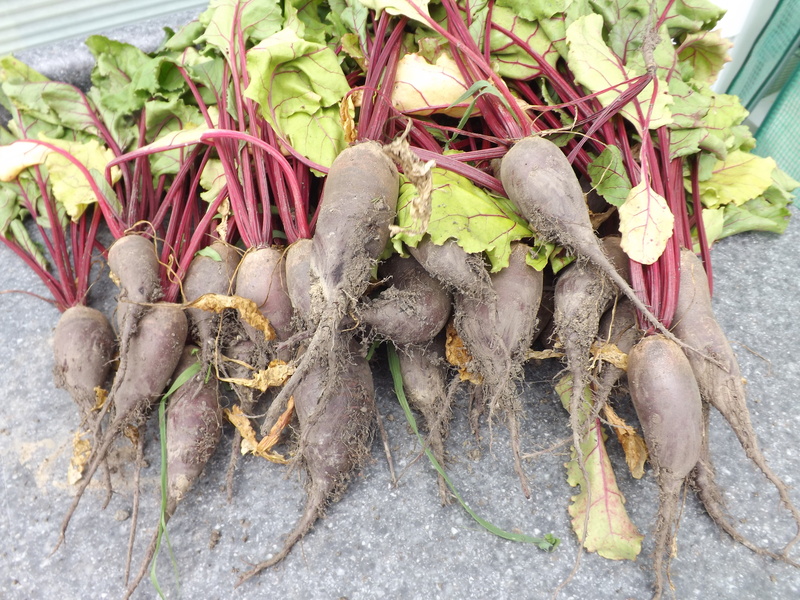 Ladle brine over beets to cover. Process in water bath for 30 minutes. Obviously the amount of brine you would need will depend on how many beets you had to work with. 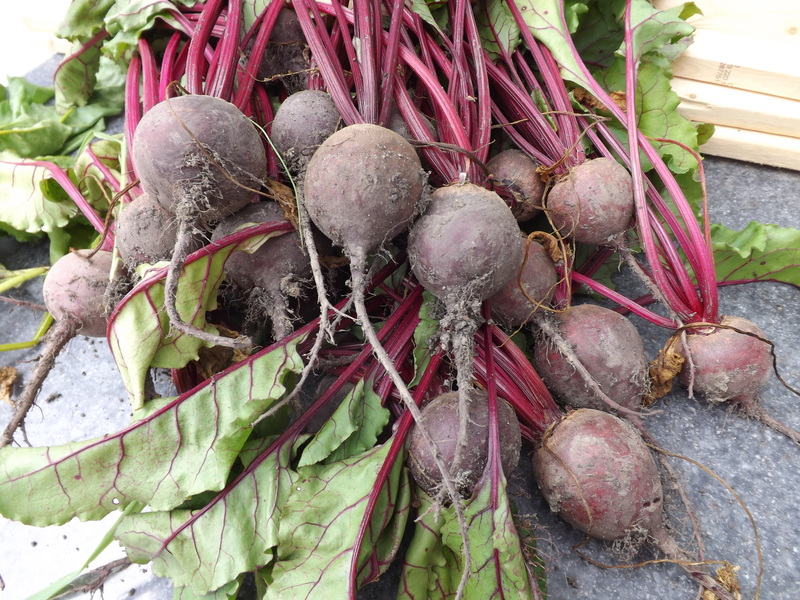 I am so happy I was able to salvage some of the beets from my garden. 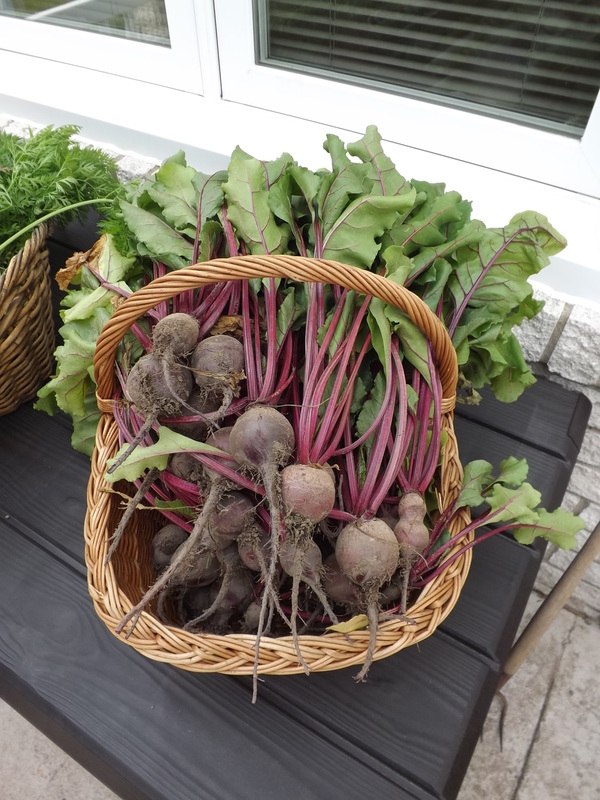 With three jars of pickled beets in the pantry, we are on our way to a stocked pantry for the winter and for this I am — Simply Grateful.